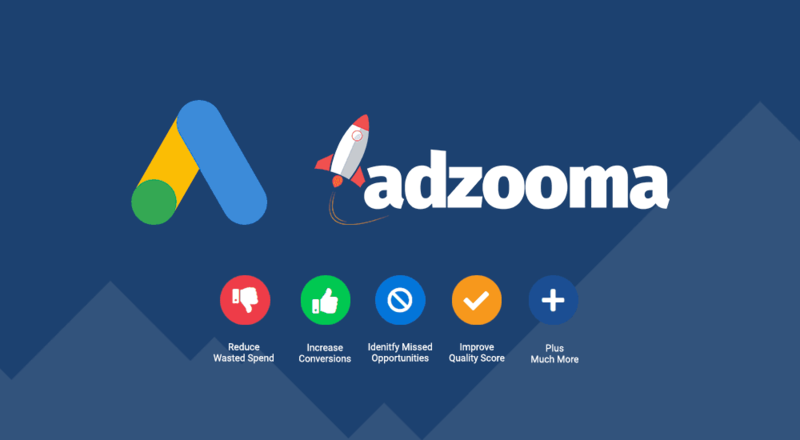 Now you can easily access the full power of Google Ads and improve your campaign results with an 20 point Adzooma Health Check. When it comes to lead acquisition, it’s hard to beat Google Ads. Its pinpoint targeting, cost-effectiveness and ability to scale make it a supremely powerful business building tool. However, its complexity and steep learning curve mean the majority of users very rarely get the best from it. Even with users who class themselves as ‘expert’, there’s usually a lot left on the table. The fact is, there is so much useful data available within Google Ads, it gives you the chance to identify a staggering range of opportunities to improve your results. You just have to know how to mine this info and use it effectively. 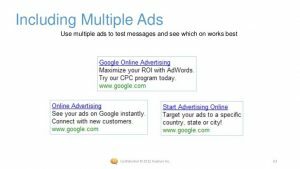 Our fast but in-depth 20-point Google Ads Health Check is designed to present all this valuable info, in an easy to understand and use format. It gives you the power to quickly improve the returns from your current and future campaigns. Ad extensions are snippets of additional information you can attach to your ads. Location-extensions: Informs your customers of your store’s physical location. Callout-extensions: Makes your business stand out, lets your customers know what your USP (Unique Selling Proposition) is. Sitelink-extensions: Directs customers to pages they might be interested in (this varies from business to business but can include store opening hours, online shipping, special offers, and more). The less your visitors have to search for what they are looking for on your site, the more conversions you’re likely to get. Ad extensions typically increase an ad’s click-through rate (CTR) by several percentage points as they offer instant, specific details that are important to your potential leads. Plus, extensions have no extra cost and can bring enormous value to your ads! Understanding where your conversions come from is essential to a successful ad campaign. Without this data, it’s impossible to optimise your campaigns effectively and therefore you could be wasting a fortune. Conversion tracking should be set up as soon as possible as knowing your return on investment (ROI) will help determine your ad spend. Since it shows you what happens after a customer interacts with your ads, you can see which keywords, ads, ad groups and campaigns are driving the most valuable clicks. It doesn’t matter how great your ad is, if it’s not seen by the right people, in the right places, it’s not going to perform. Google Ads location targeting is incredibly important and you need to get it right. Get it wrong and you could be paying for clicks from people who can’t access your offer. This is why only showing your ads to people who live in specific areas will help reduce your wasted spend. If any of your campaigns have the status ‘limited by budget‘ it means your budget is set lower than the recommended daily budget. It also means you could be missing out on potential conversions if you can’t accommodate all the traffic available for your keywords and targeting settings. You need to ensure your budget lasts throughout the day, otherwise, Google Ads will reduce how often your ads appear. You’ll also increase your opportunities to gain more exposure if you’re able to increase your budget. Also, keep in mind you can adjust your bids according to your campaign goals and previous performance along with being able to throttle your ad delivery from standard to accelerated. The Google Network allows you to quickly reach targeted customers by choosing the websites or pages you want your ads to appear on. If you choose not to show your adverts on all networks you may be limiting the number of people who will see your ads and the number of potential customers you could gain. In most cases, enabling ads to show on all networks will increase your conversions. By linking your Google Analytics account to your Google Ads account you’ll benefit from an increased insight into the performance of your campaign. This increased visibility will help you to identify more opportunities for improving your campaigns. We recommend all Google Ads users link their Analytics account. When you link your accounts, you can easily analyse post-click customer activity relating to any of your Google Ads accounts in your manager account. This info can show you how much of your traffic and business comes from Google Ads, which can help improve your ads and website. You can also use it to help the right customers find you fast, by showing them your ads when they are searching for your business on Google Search. Remarketing is a great way to re-connect with visitors who previously visited your site or mobile app. By strategically positioning your ads in front of your target audience while they’re browsing Google or its partner websites, it can increase your brand awareness. In fact, it’s so effective it can remind them to take a second look, or give a final push towards a purchase. Remarketing is, therefore, a great, and often cheaper, way to re-engage past visitors and customers. We recommend you start retargeting your visitors and adjust your bids accordingly. “Broad match is the default match type that all your keywords are assigned if you don’t specify another match type (exact match, phrase match or negative match). We can optimise using broad match modifiers, which ensure your ads only show for keywords very similar to your state keyword but not for synonyms. This keeps your keywords targeted without over-restricting your potential reach. Even if you think you’ve found the perfect advert, you should always be trying to find an even better one. Split testing multiple ad variations is one of the best ways to drive your results up quickly because you’re letting your results tell you which one works best. You can get sudden boosts in response from new ads you test and even small, regular improvements add up quickly. The best way to do this is to run multiple adverts on each campaign, pausing ones that don’t work and replacing them with a new variation. 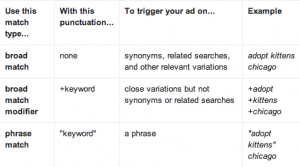 If you currently have campaigns with less than three adverts, you should add more variations as soon as possible. You need to identify losing ads quickly and pause them so your campaign results keep improving. A few losing ads can really affect the rest of your campaign so our health check will help identify any bad apples. However, they should be monitored on a regular basis as the conversion rates of adverts can change over time. This is as important as the ‘Losing Ads’ above. If you do not keep an eye on your keywords, poorly performing ones can contribute to your wasted spend. However, keyword performance can change over time, particularly as more data is collected. Therefore, we recommend you check for losing keywords regularly to help keep your wasted spend to a minimum. When it comes to losing keywords, Google has a great tip “remember to think like your customer, organise by theme, and be specific or broad, depending on your (marketing) goals”. Your detailed but easy to understand free report will give you an overall performance score based on a thorough analysis of your Goolge Ads account. This means that in just one minute you’ll know exactly how well your advertising campaigns are actually performing across 11 separate, vital metrics, based on best practices. It’s specifically designed to identify problems and opportunities you may not have even been aware of, so you can quickly improve your returns, squeezing every penny from your campaigns. This is not just an aimless analysis of your campaigns. Your report will give you specific actionable steps to take, to ensure you are optimising your campaigns for the absolute maximum returns. The best thing is, it only takes 1 minute to activate your Health Check, so no time wasting or major interruptions to your busy schedule.